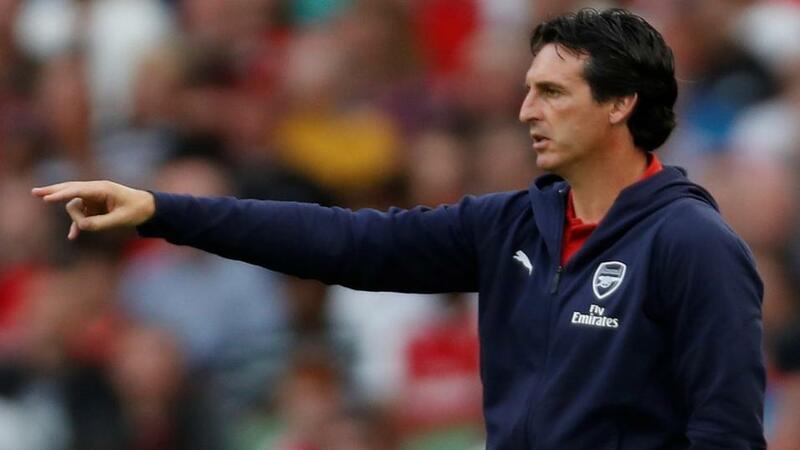 Will Unai Emery point Arsenal towards victory over Newcastle? Dan Fitch is predicting goals from both sides when Newcastle host Arsenal and thinks that the visitors could edge it. "Newcastle’s three defeats have all come by a 2-1 margin." Newcastle are still without a win this season, having lost three and drawn one of their Premier League games and crashed out of the EFL Cup at the hands of Nottingham Forest. There was at least some solace to be taken from the fact that Newcastle only lost narrowly away at Manchester City in their last outing. It took a fine long-range effort from Kyle Walker to separate the teams and give City a 2-1 victory. Newcastle have been unfortunate to have faced three of last season's top six in their first four games and that run continues with the visit of Arsenal. The Magpies won this fixture last season, but their current form does not suggest that they can do so again, even against an Arsenal side that look vulnerable. Rafa Benitez could be without the services of a quartet of players. Florian Lejeune, Javier Manquillo, Matt Ritchie and Jonjo Shelvey all missed the trip to Manchester City. Arsenal have now won their last two games, but the nature of their performances was hardly convincing. A 3-1 home victory over West Ham saw them have to come from behind in what was a very open game. Then in their last match before the international break, Arsenal conceded twice against Cardiff in a 3-2 win, despite the fact that the Bluebirds had failed to score in their previous three games. Arsenal have conceded eight goals in four Premier League games this season. Their poor defence and lack of protection from the midfield, was the most glaring problem when Unai Emery took over from Arsene Wenger this summer and he is yet to find a solution. The club's longstanding injury problems also remain. Carl Jenkinson, Sead Kolasinac, Laurent Koscielny and Ainsley Maitland-Niles are all still out, while Lucas Torreira is a doubt having picked up a knock in Uruguay's match with Mexico. Arsenal are the [1.96] favourites, with the draw at [3.8] and Newcastle at [4.3]. With Arsenal back to winning ways, it's a decent price for an away victory. Yet Newcastle have only been narrowly defeated by Spurs, Chelsea and Manchester City this season, which raises doubts that a team as flaky as Arsenal will get the job done. Newcastle scored in all three of those games and that could be the key towards finding a price that makes it worth taking the chance on Arsenal taking three points. An Arsenal win and both teams to score is [3.6]. Over 2.5 goals is the favourite at [1.76], with unders at [2.24]. Newcastle's three defeats have all come by a 2-1 margin and with all but one of Arsenal's games seeing three goals or more, over 2.5 should come in. A 2-1 victory for Arsenal is [9.2]. Joselu has scored in both of Newcastle's home games this season and can be backed at [3.4] to add to that tally, but he was dropped for the most recent game to make way for Salomon Rondon, who is [3.5] to score. For Arsenal, Pierre-Emerick Aubameyang is the [2.1] favourite to get on the scoresheet, but Alexandre Lacazette could be better value at [2.6]. Over on the Sportsbook, you can combine a 2-1 win for Arsenal with Lacazette to score and get odds of [16.0], using our Same Game Multi option.